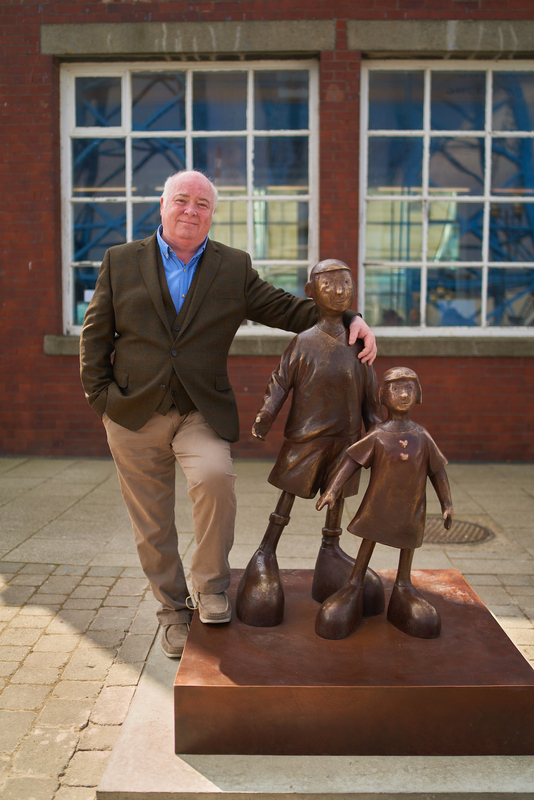 In front of an excited Middlesbrough crowd and in the shadow of the iconic Tees Transporter Bridge, Mackenzie Thorpe unveiled his new bronze sculpture, Waiting For Me Dad. For Mackenzie the sculpture, is intended to ensure that the daily contribution to Middlesbrough’s success by normal, everyday people is celebrated, acknowledged and not forgotten. It was launched with a moving and inspirational event involving members of the community. 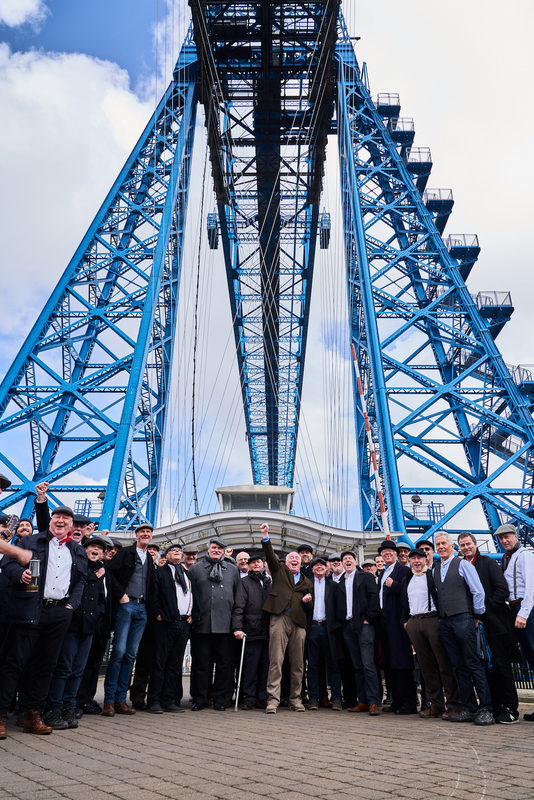 It was led by the Infant Hercules choir who crossed the river on the gondola singing local Middlesbrough-inspired songs including An Ordinary Man in tribute to the men who used the bridge for work. Like many men from the town Mackenzie once worked in the industry and shipyards of the area making the sculpture an appropriate and poignant way to mark his 30th anniversary as an artist. “In my own way I wanted to acknowledge that time, when it was normal for droves of men crossing the river daily to work long hard shifts and families waited for their return, the men did it to put food on the table, and the sculpture depicts the children waiting for their return. After the sculpture was revealed Mackenzie donated the original painting of Waiting For Me Dad to the town. One of the biggest selling British contemporary artists, Mackenzie has loaned the sculpture for up to two years. 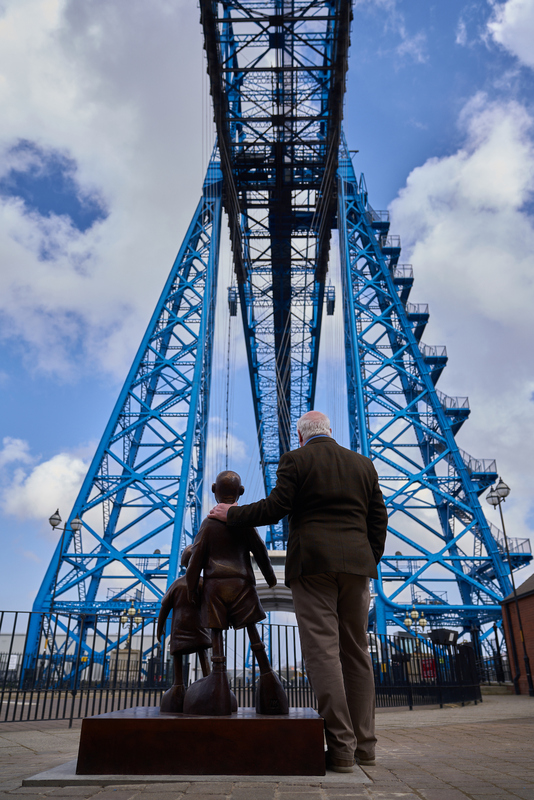 The events in Middlesbrough are part of a year-long celebration of Mackenzie’s 30th year as an artist in which he has been named official artist for the Tour de Yorkshire 2019 and will tour galleries throughout the UK, America and Japan.